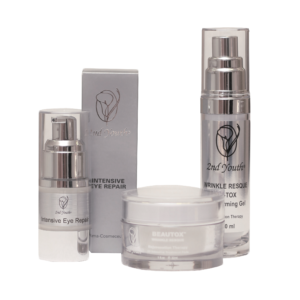 These products are used in conjunction with the Concept Kit, as prescribed by your therapist. Some of our most popular products are listed below. Please note that the full list of products, with product descriptions is available on our retail price list. A unique two-phase system to refine, purify and smooth the skins. The Skin Revitalizer softly normalizes the skins natural pH. This product effectively minimizes pores and cleans continuously to prevent salt accumulation on the skins outer layer. An abnormal pH can result in Pigmentation, Premature ageing and build up of excessive dead cells on the outer layer of the skin. A complete natural product scientifically researched and developed to thoroughly exfoliate the excess dead cells of the Stratum Corneum. No granules but Fruit Enzymes from peach, papaya and pineapple have been introduced to enhance the removal of dead skin cells (Corneocytes) and enhance cell turnover process. Encapsulated Vitamin A & E (Liposomes) is the most advanced medical technology to speed up penetration to the Dermal Layer of the skin. Controls the functions of the Sebaceous glands. Formulated to assist in minimizing enlarged pores. Purging the skin of excess oils, dirt and remove dead cells in the outer layer of the skin (Stratum Corneum). The ideal at home Dermabration. Peptide Plus is a highly active revolutionary and scientifically clinically trailed Dermaceutical. It consists of 10 Neuropeptides which makes this treatment product one of its kind in the world. It enhances cell metabolism and stimulates cell formation. It is used to assist in decreasing fine lines and wrinkles, upliftment and energizing the skin. Results are immediate and with continuous use the result will be a 92% firmer skin..
A complete active treatment based on maximum levels of the Vitamin Co-Enzyme Q10. The membrane of the Mitochondria (the power-station of the skin) contains natural Co-Enzyme Q10. This Vitamin acts as a defence mechanism against damaging effects of the living cells. It fight free-radical formation. An ultra Vitamin booster that result in a plumped, lifted and firm skin. This rare formula counteracts Skin ageing. An oil based product which contains concentrated Alpha Lipoic Acid, Ascorbyl Palmitate (Vitamin C Ester) and DMAE (Dimethyl Amino Ethynol). Alpha Lipoic Acid is the ONLY anti-oxidant which holds the capacity to neutralize the effects of free-radicals in both fatty and water based environments. A must for dry and Dehydrated skins. Instantly relaxes the appearance of surface lines for a plumper look. This miracle mask is formulated for the dry, sensitive skin with visible wrinkles around the eyes and mouth. It prevents the skin from sagging. The highly active ingredients (invivo & invitro tested) Penetrates the skins deepest layers. The results and appearance of the skin is plumped, well Hydrated and rejuvenated. A silky appearance especially on the very deep wrinkles and fine lines are instantly visible. Eczema and flakiness can also benefit by using this miracle mask. A Combination of the Age-Loc mask and the Skin Synthesis Combo will give the clients the results that every user of Dermaceutical skincare strive for the past decade. This highly active Hydra Mist Spray contains Sodium Hayluronate, an active ingredient that draws water and natural moisture to the skin. From the age of thirty, cell turnover slows down and causes the skin to be dull, dry, uneven and have a shallow appearance. A perfect combination of peptides such as Acetyl Hexapeptide ( Argireline) which act as a “ Batulinumtype” peptide. Copper in peptides keep the skin optimally protected and stimulated. Hydra Mist has a derma heal action suitable for all skin types. Noticeable improvement in skin laxity with loaded growth factors. 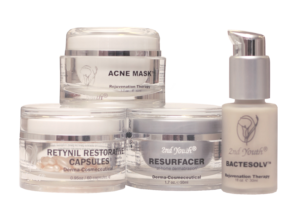 Result in Epidermal growth and renewal of Epidermal Cells. It will tighten, lift and plump the skin. Skin will appear years younger. This combination of a Day/Night Crème moisturiser is ideal for the still, firm and tough skin with no visual damage. After Normalizing the Stratum Corneum, penetration to the deeper layers of the skin is possible. By penetrating as deep as the Dermal layer, the functions of the skin can be normalised. The normalised functions combat infections and normalise oil secretions. By lubricating the skin with its own natural oils, takes years of the visual appearance.